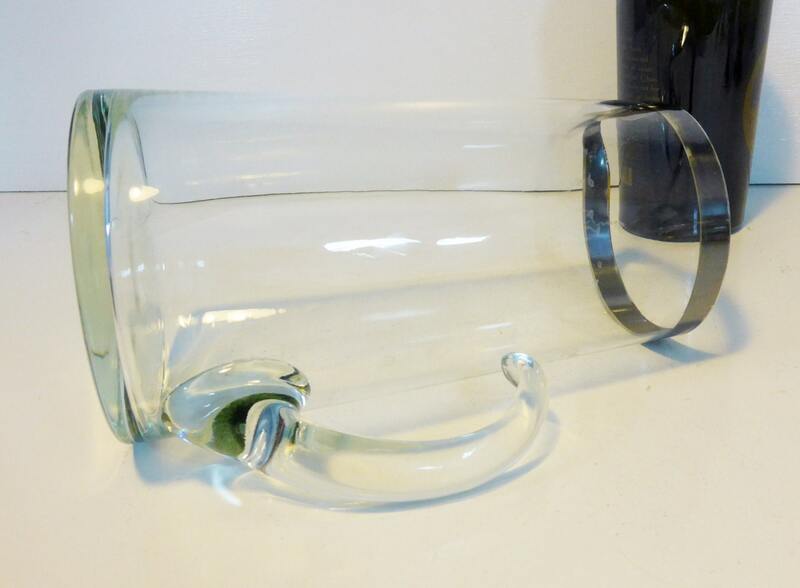 This stunning Danish Modern glass pitcher has a great modern look - both functional and fashionable. A mid century martini pitcher with a silver band that is about 1/2" wide on the top edge. This piece is made with hand blown glass giving it quality that current glassware lacks. The top portion of the handle does not touch the body of the pitcher, that tapers slightly in toward the top - see photo #3. 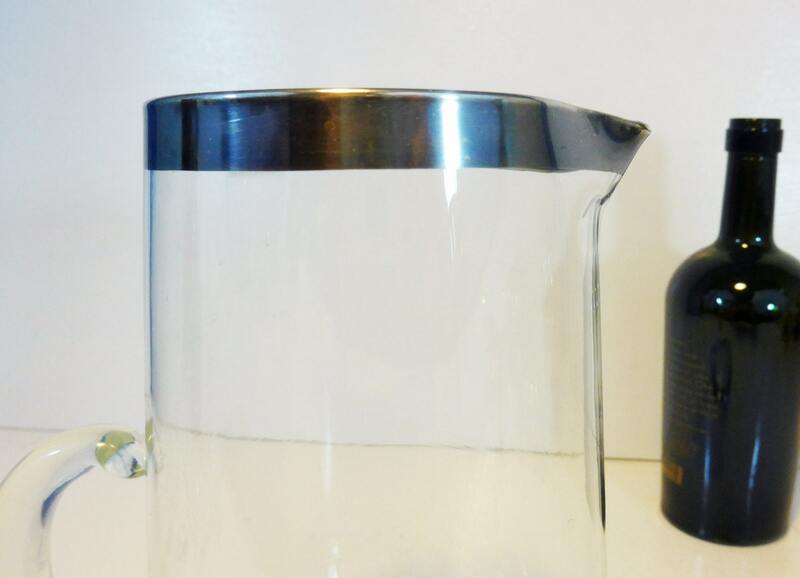 This stylish, mid century Danish modern vintage tapered pitcher is made of clear glass and does not have any markings on it. It is in great vintage condition with no chips or cracks. Measures about 8 7/8" high. Top opening is 3 7/8" in diameter. Bottom is about 5" diameter. 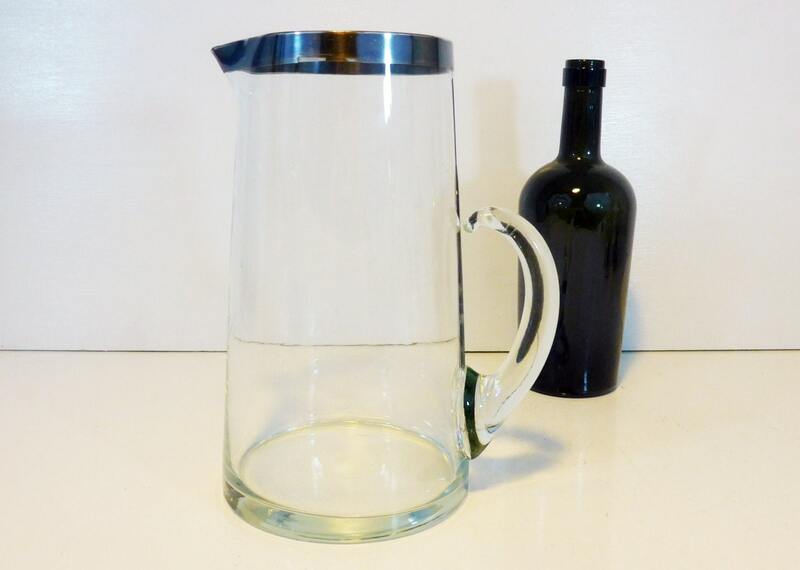 This retro pitcher holds 8 (64 oz.) cups to the rim, 7 (56 oz.) comfortably. In nice vintage condition with no chips or cracks. 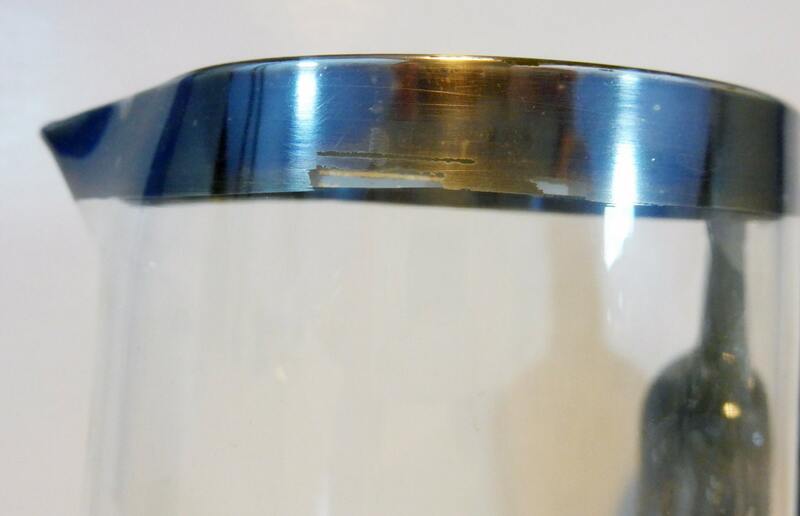 Some of the silver band on one side shows wear - see photo #4 and photo #5. Item is priced to reflect this. 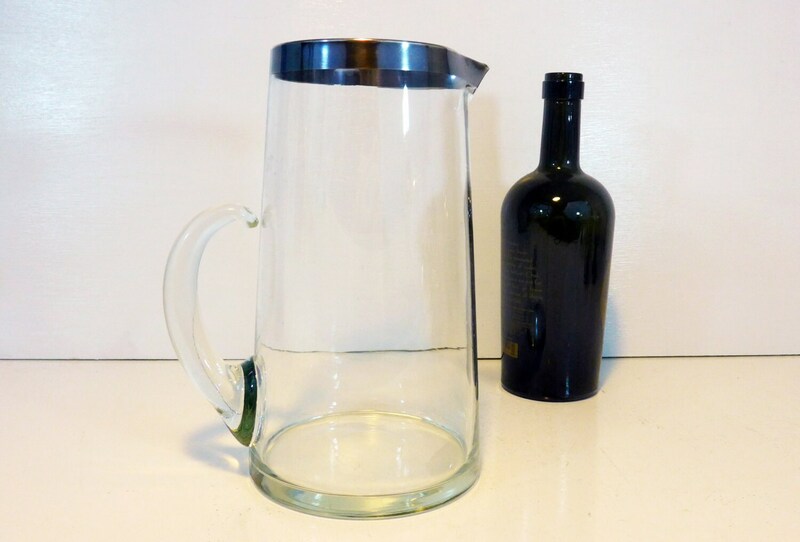 Great martini or cocktail pitcher for entertaining, display, or everyday use. Cheers to drinking in style!